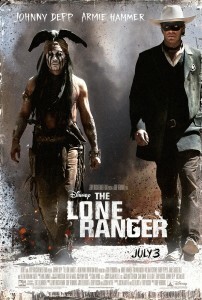 This week The Lone Ranger stampedes (see what I did there) into theaters. Johnny Depp and director Gore Verbinski hope to recapture the magic of their Pirates of the Caribbean franchise. And by “magic” I mean “money”. The film is a middling success. It has glimpses of inspired antics but never really rises above mildly entertaining. And since they went to great lengths to make this version of The Lone Ranger more comical, it got me thinking about other movies that have attempted the same. So here’s your list… Comedy Westerns. Hugh Wilson, the creator of WKRP in Cincinnati, gives us this 1985 western spoof. Fresh off the success (well, the “financial” success anyway) of Police Academy , Wilson wrote and directed what is clearly a labor of love. While the film is a parody of the “Singing Cowboy” genre, it is most assuredly an affectionate one. Tom Berenger stars as Rex O’Herlihan: a white-hat-wearing-cowboy modeled on matinee stars such as Roy Rogers, Gene Autry and Charles Starrett. Rustler’s Rhapsody‘s jokes fall somewhere between Airplane and Police Academy. It remains a decidedly PG affair, so the jokes never have any real bite – though there is a running gag about Rex’s sexual orientation that might not play as well today as it did in 1985. Whereas Blazing Saddles was less of a western parody than it was social commentary, Rustler’s Rhapsody never targets anything deeper than the thrilling B-movies of yesteryear. However, Wilson’s fondness for the source material was so evident, that the film manages to engender a surprising amount of goodwill.